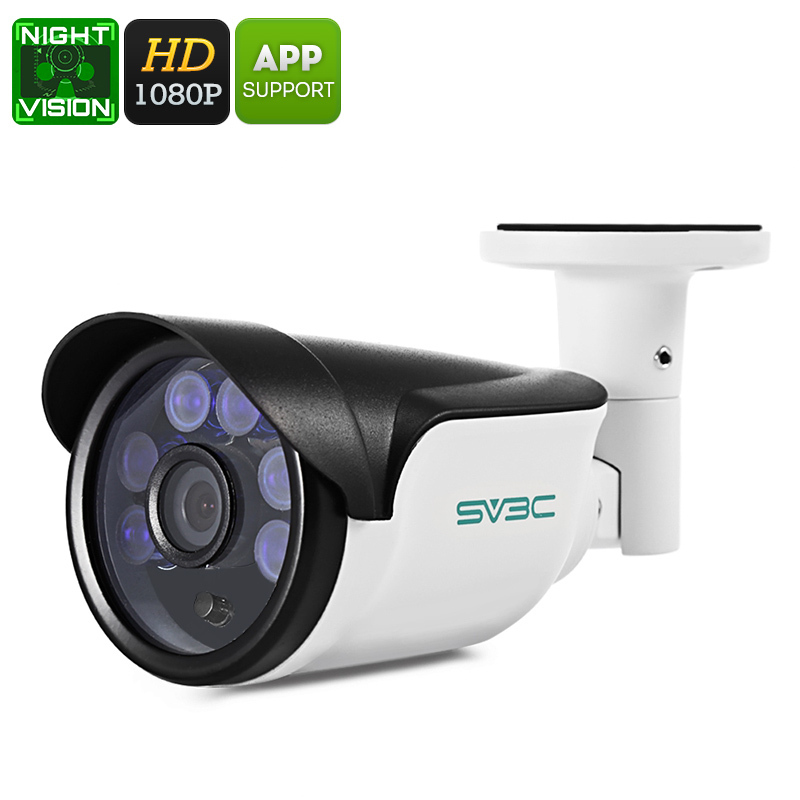 Successfully Added 1080p Security Camera - IP66 Waterproof, Motion Detection, PoE, 20m Night Vision, App Support, 1/3 Inch CMOS to your Shopping Cart. Take your home security to the next level with this 1080p IP camera. With its IP66 design, this waterproof security camera can be placed anywhere around your property. From now on, you can be assured that nobody will approach or enter your home or office unnoticed. This amazing security cam will capture all that’s happening and keeps you constantly updated on the security status of your building. Thanks to its PoE support, you no longer have to worry about the power supply to your camera. With its network access, it allows you to enjoy live security video at any time. Simply access your camera through your PC or smartphone and you’ll instantly see what’s going on around your home. By supporting a 1/3-Inch CMOS sensor, this Full-HD security camera treats you with crisp 1080p video. This high-quality security footage will be clear and detailed thanks to which you’ll always be able to recognize any visitor or potential intruder. Your IP cam furthermore supports a 70-degree viewing angle. Thanks to this, you can be assured that not a single movement stays uncaptured. Whenever motion is detected, your IP camera is capable of sending out an alarm message including a snapshot of the intruder to your PC or phone. Like this, you’ll always be up to date on the latest security status of your house. With its 6 IR LEDs, this outdoor security camera is capable of providing clear images at both day and night. The 20m night vision and IR cut feature of this IP cam make sure that your property is protected around the clock. Your security gadget is easy to install and can be used instantly. Simply attach it to your wall, sync it with your mobile device and you’re ready to go. From now on, nobody will enter your property unseen again. This outdoor security camera comes with a 12 months warranty, brought to you by the leader in electronic devices as well as wholesale electronic gadgets.. I invite you to his neighbor.